Are you a girl, and wanted to be in a music video that doesn't exploit you? Here's your chance! We're getting ready to start work on our next video - this one for the song "About Gurls", and it's going to be a tribute to girls. 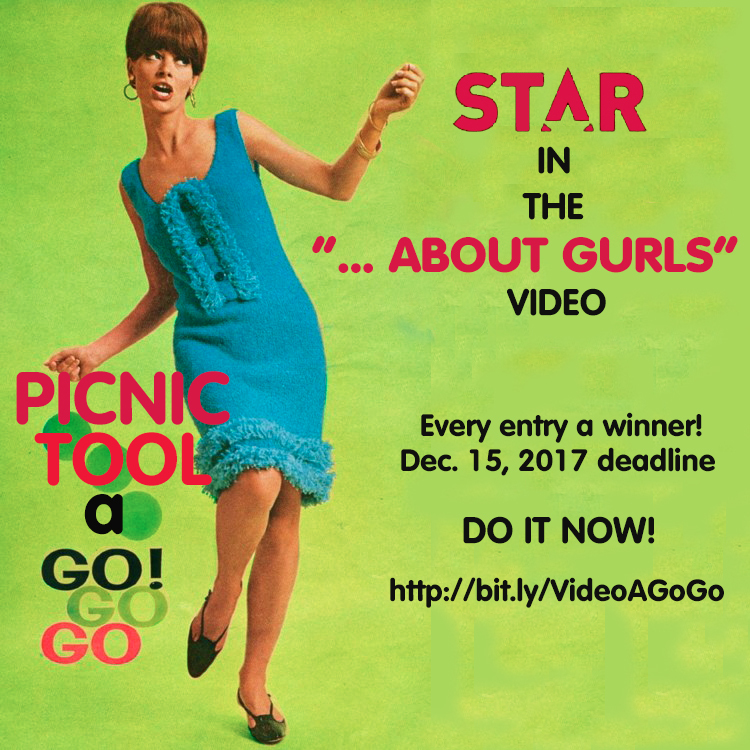 We are looking for girls, of any age, to send us clips to use in the video. We're looking for upbeat, happy clips of girls singing, dancing, running, walking, working, playing, cooking, or anything. Surprise us! We promise every person who submits a clip will be used in the video. The deadline is December 15, 2017.